J.N.G. 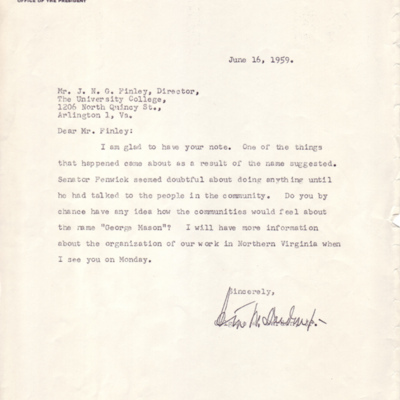 Finley to James W. Cole, Jr., October 12. 1959. 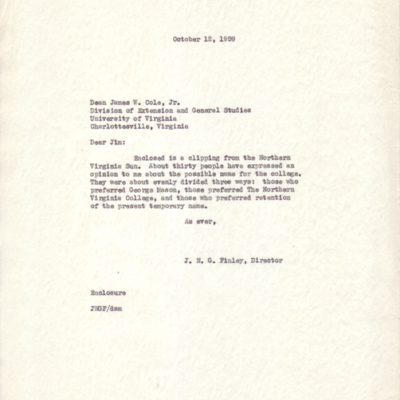 Carbon copy of letter from John Norville Gibson Finley to Dean James W. Cole, Jr. of the University of Virgnia Division of Extension and General Studies of October 12, 1959. 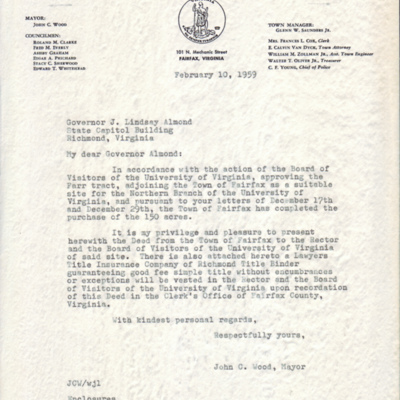 Letter references a clipping from the Northern Virgina Sun. Colgate W. Darden, Jr. to J.N.G. Finley, June 16, 1959.